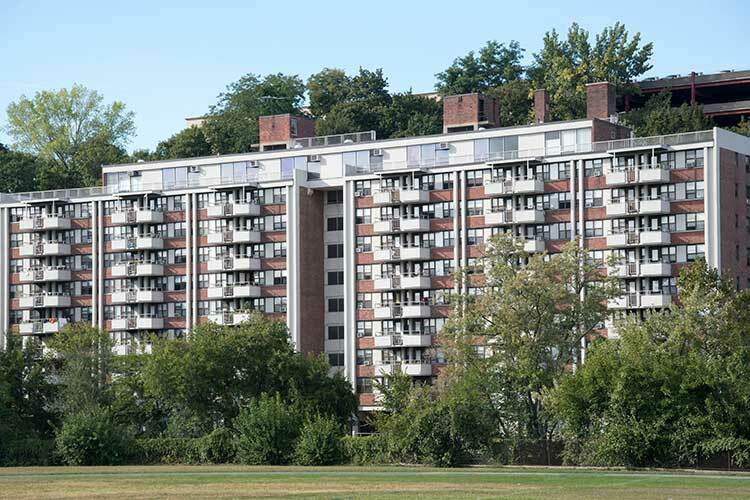 Walsh Homes is a senior community that consists of three eight-story elevated buildings that include efficiency units, one-bedroom units, and multiple Handicap Accessible units. Many of the units have verandas. All units are cable and Verizon Fios ready. Located in the downtown area, it is easily accessible to public transportation, medical services, places of worship, and a wide array of shops and restaurants. Walsh Homes has a community room, three laundry rooms, and on-site parking. Utilities are included in the rent. The site also offers a free monthly food pantry and supportive services referrals are available through a collaboration with The Family Service Society for the City of Yonkers.